Our descendants arrived in America during a span of about forty years. They journeyed from such places as Switzerland, France, Prussia, Ireland, England, and Canada with names like Tritt, Hubbard, Moore, Burlingame, Mongan, Canvanaugh, Flanagan, Dupre, LaPoint, Abel, Schroeder, Brechlin, and Kalbo. None came with money, at least much of it. Two arrived as indentured servants for they had no money to pay for their voyage. They were forced to redeem that cost through contract labor for a period, it is thought, of two to four years. That is how the Tritt brothers started their lives in the promised land. Most sailed or fled directly from their homes and their country of birth to this land. Some did so to flee religious persecution (the Tritts and, I believe it to be one of the reasons the Abels fled Prussia), others to better their lot in life. One branch of the family (the Tritts) migrated from place to place on the European continent while seeking refuge and steady employment before eventually arriving in the United States. So, let's begin with the Tritts and fast forward two generations to my great-great grandfather William Lloyd Garrison Tritt. He was born in Newville, Pennsylvania in 1819 and three years later moved with his family to Ohio. It was there, some years later, where he met his future wife Julissa Hubbard. They married July 2, 1842. Shortly after their marriage William became interested in the reports of heavily wooded lands north of the Fox River in central Wisconsin. He decided to join the adventurers who were rapidly pushing into the woods of what is now called the Town of Poygan even before a government title could be granted them. So in 1850 William and Julissa purchased their squatter's rights to about 600 acres of land in Poygan township. The Lake Poygan area in the 1840s and 1850s was heavily forested so the Tritts first had to clear the lands before they could farm. The Tritts, according to county records, were one of the first fifteen to twenty to lay claims to land there. In the 1850s William ran for public office. In 1853 he was elected Town treasurer and the following year he was elected Town chairman. As Town chairman, the records of the time say, he earned the title of Peacemaker. While serving in this capacity, it was said that "he amicably settled local disputes that arose out of the times." He was, by all accounts, an effective and able arbiter. The American Civil War began some ten years after William and his family settled in the Poygan area. The initial expectations that this would be a brief conflict gave way to continuing calls for troops. In response to one of those later calls, William left his farm, his wife and his eight children to serve his country. In 1862 and 1863 William and his oldest son Zenus left separately to fight in the war. His wife and children were left to work their partly cleared farms. Life was not easy for Julissa. She now had nine children (the last of which was my great-grandmother Julissa), eight of them still at home without a husband around. If that was not troubling enough, "Indians, always restless and discontented," writes my grandmother, "became openly menacing. Thieving and petty annoyance were of daily occurrence." William enlisted in August, 1862 in the Twenty-first Wisconsin Volunteer Infantry, Company F, under Colonel Sweet. Among the battles in which he participated were Perryville, Murfreesboro, Hoover's Gap, and Chicamauga. He was taken prisoner at Chicamauga and confined in the prisons of Richmond and Danville in Virginia, Andersonville, Georgia, and Florence, South Carolina for seventeen months. He was one of the few who survived the terrible conditions and starvation which the men were forced to endure. The months he spent at Andersonville, as he relates, were the worst. His accounts of prison life has been preserved thanks to a great-great granddaughter who spent countless hours transcribing the diary that William Tritt kept each day during the year 1864. The paper had deteriorated badly so the penciled text was extremely difficult to decipher. The task was completed in three-and-a-half months with the use of a magnifying glass, a great deal of patience, and assistance from Dr. Richard Sommers at the U.S. Army Military History Institute at the Army War College in Carlisle, Pennsylvania. The title of the diary "Apple Trees Look Gay in Bloom" came from the April 27 entry with a strange juxtaposition of thoughts: "... I am very anxious that this rebellion may come to an end, so that I may be delivered from this imprisonment. It's all that I can bear. Apple trees look gay in bloom." In September of 1864 he was transferred from Andersonville and spent his last months in a prison camp at Florence, South Carolina, and was paroled at NE Ferry, North Carolina on February 27, 1865. He was then sent to Benton Barracks near St. Louis where he remained in the hospital some months to be treated for disease and to mend. He was mustered out of service on June 14, 1865. He was 46 when leaving the service of his country. I was born on the same day as the Tritt Family reunion thus preventing my mother and grandma La Point from attending. The reunion, started by children of my great-great grandparents was now in its sixty-eighth year. It had its beginnings a few years after William Tritt, the patriarch of these gatherings, returned home from the Civil War. As the family grew and spread out, and after the deaths of William and Julissa, it was celebrated in a variety of places most notably North and South Parks in Oshkosh and Winneconne Park in Winneconne. On the Tritt Family reunion, an Oshkosh Northwestern article in August of 1934 had this to say: "Believed to be without precedent in the city if not the state the Tritt family descendants of the late William and Julissa Hubbard Tritt, held their 67th family reunion Sunday at Menominee Park here. Reunions of the Tritt family were first established in June, 1867 when friends and relatives met at the home of Lieut. William Tritt to celebrate his safe return from the Civil War. Since that day, the descendants of this typical and hardy pioneer family have increased to over 300. Their earlier custom of meeting on New Year's Day was changed about 16 years after the death of Julissa Hubbard Tritt." "At the reunion here Sunday," the article continued, "entertainment was furnished by Donald La Point and his Green Mountain entertainers, featuring old time songs. A vaudeville skit by Marjorie Knoll, Charles Flanagan, Irene Carpenter and Dale La Point was also given which was followed by a resume of the Tritt family history by the past grand matron of the Order of Eastern Star of Illinois, Eliza Varnell. Mrs. Varnell related several amusing incidents in the life of the Tritts and told of the privation of the early pioneers, and of how precious a pound of white flour was in those times." The reunions were usually large. William and Julissa had ten children and their offspring included many whose names I didn't know and whose faces I didn't recognize. The family tree in the 1940s and 1950s had so many branches that the feeling of family was becoming difficult to maintain. But some of these family branches do come to mind. Those of the Carpenters', the Knolls', the Wilkinsons' and the Tritts' of course, along with the Flanagans' and Fullers', the Blitzs', and McRaes'. As I grew in years the number in attendance diminished, and in my middle to late teens our family no longer attended on a regular basis. I think this was becoming true of many of the La Points' and, perhaps, is the reason a La Point Family reunion got started. Madge La Point's diary states on August 7, 1960 when writing about the La Point reunion: ". . . Everybody there except Dale and Carvel." The Tritt reunion continued with a more-or-less sporadic attendance. My grandmother's diary entry for August 29, 1965 reads: "Tritt Family reunion today at South Park with a small attendance. Aunt Florence Wilkinson there, the last of the direct descendants. She will be 99 Oct. 7, 1965." The reunion would last two more years. 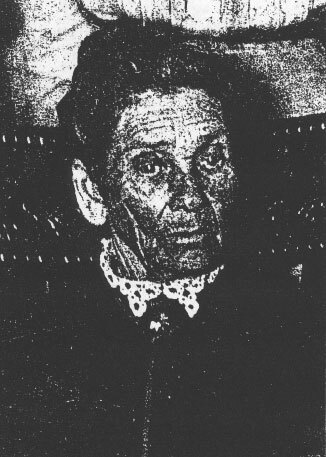 Aunt Flo, as she was called, and the last of the children of William and Julissa Tritt - my great grandmother Julissa was the ninth of ten children and four years older than Flo - died on June 28, 1967 at the age of 100. Those long-ago family reunions still stir some memories. My uncles playing and singing on the old park bandstand, Donald on the bass, Carvel strumming the guitar usually arrives first. The two played along with some others in the 1930s, '40s, and '50s under the names of the Texas Stompers, the Green Mountain Boys, and the Playboys. My uncles did much of the singing. They had, I remember, that down-home quality that gave their songs a pleasant, almost familial ring. Seeing them in their cowboy hats playing and singing everyone's old-time favorites was for me the highlight of the day. This entertainment was, I gather from what I've heard and read, reminiscent of the old Flanagan bands. All my uncles were self-taught musicians as were their mother and grandfather before them. My dad, not able to play an instrument, sometimes aided a rendition with a pair of spoons. Music was an important part of the La Point family thanks mainly to their Flanagan roots. The reunions as with youth didn't last long, but they provided fond memories. They are memories of cousins and play, running and exploring the vastness of the park, enjoying the assortment of good food that family members would bring and then wash it all down with all the pop you cared to drink. Everyone, it seemed, brought their favorite dish. Asking Dad for some change, and usually getting it to buy ice cream and stuff at Miller's Confectionery in the park was a treat most of us were not ordinarily used to. Watching the entertainment, listening to the music, seeing the smiles of joy and contentment on the faces of the adults, hearing laughter and kind words and feeling that you were a part of it all brought about a certainty of place and a sense of belonging that has stayed with me and helped shape the person I am today. 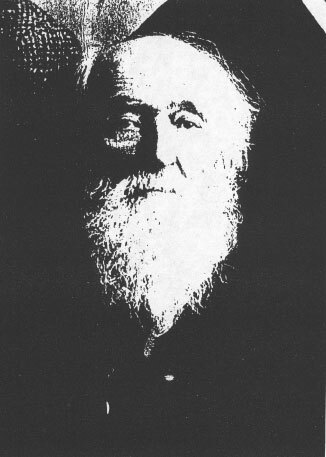 William Tritt (1819-1909), my great-great grandfather. He was born in Pennsylvania and moved to Ohio as a young boy. A pioneer of Winnebago County, he along with his new family settled in Poygan Township in 1850 while it was still Indian Territory. Julissa Hubbard Tritt (1825-1917). She was born in Ohio and married in her teens. During the course of their marriage she bore William ten children. And while her husband was off fighting the Rebels and, after his capture, imprisoned in four Confederate P.O.W. camps, Julissa along with eight of her nine children - the oldest Zenas, age 17, also enlisted - worked their few hundred acre farm in the Town of Poygan. Tritt Family Reunion (1941) at North Park in front of the old bandstand. One of my strongest memories of these gatherings is of my uncles' providing the entertainment. Uncle Donald with the bass and Uncle Carvel with the guitar are on the right.